A PhD scholarship in Life Sciences has been announced for the academic year 2011. 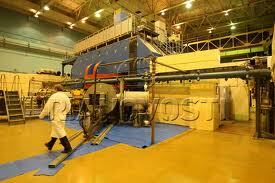 The PhD scholarship is in association with the Institute of Nuclear Sciences, France. The research area for this PhD scholarship is Biochemistry/ Life sciences. The PhD scholarship thesis aims at developing, in partnership with a clinical-research team, a series of original diagnostic tests and a therapeutic monitoring of type 1 diabetes. In comparison with existing technology, the goal of this work is to develop rapid tests (less than 5 hours), quantitative and easy-to-use in clinical routine. If an early and efficient diagnostic test for diabetes is important, it is even more critical to get a reliable test allowing to evaluate the beta cell mass. That’s the reason why, in parallel, and in order to improve the management and the quality of life for diabetic patients, we will try to develop a preclinical imaging agent for the beta cells utilizing antibodies produced in our laboratory. Interested candidates can enquire and apply for the PhD scholarship with CV to Nathalie Morel by email. Note: The last date for application to the PhD scholarship in Life Sciences, INSTN, France is 8 march, 2011. Demikianlah artikel mengenai PhD Scholarships in Biochemistry/Life Sciences 2011 at Institute of Nuclear Sciences, France Semoga Bermanfaat Bagi Anda.